I love to visit museums, but it’s easy to forget that there is often more to a museum than the exhibits–many museums also have specials events that relate to each museum’s specific theme. Some of these programs have an additional cost, but others are offered free to members or even all visitors. One of my new favorite museums is the Museum of the City of New York (MCNY), which offers a lot of additional programming for visitors. (I’ll talk more about the museum’s exhibits in another post.) MCNY has a regular event called My City Book Club. At each My City Book Club event, the museum hosts a discussion of a book about New York City–basically a conversation between the book’s author and another expert on the topic, with opportunities for audience members to also ask questions. You don’t have to read the book to enjoy the event, but these books will increase your knowledge of New York City. And, if you buy the book, the author will sign it for you after the official presentation has ended. I went to my first My City Book Club event a few weeks ago. 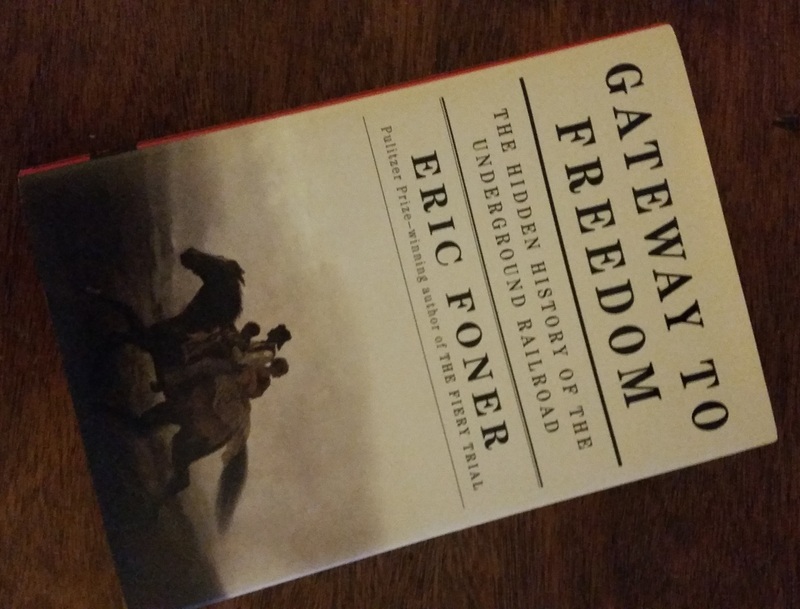 Columbia University history professor, Eric Foner, discussed his new book, Gateway to Freedom: The Hidden History of the Underground Railroad, with NYU Professor Martha Hodes. Professor Foner is a Pulitzer Prize-winning author and an engaging speaker. Gateway to Freedom explores the history of the Underground Railroad, the journey taken by African Americans seeking to escape slavery in the American South prior to the Civil War. The book specifically focuses on the Underground Railroad in New York City. So what did I learn from attending this event? New York City had a complex relationship with slavery and abolitionism prior to the Civil War. There was a lot that modern New Yorkers will not be proud of. Many businesses in New York City had significant economic ties with the South, making them reluctant to speak out against slavery or help escaped slaves. City officials during that era were also less likely to support African Americans than Southern slave owners searching for escaped slaves. I also learned about the essential roles that African Americans already living in New York City had in the Underground Railroad and the abolitionist movement. This particular event has also inspired me to go out and find any remaining sites associated with New York City’s part in the Underground Railroad. Professor Foner warned the audience that most of the sites mentioned in his book no longer exist, as New Yorkers regularly tear down old buildings to build newer and bigger structures. But there are still a handful of places that have survived. Perhaps you will explore them with me in a future blog post! Interested in finding out what other special events are offered at the Museum of the City of New York? You can find a complete schedule of upcoming programs on the museum’s “Calendar and Events” page.